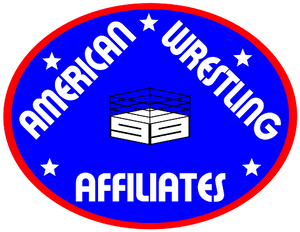 American Wrestling Affiliates was founded in 2008 by former members of Dale Gagner's American Wrestling Association, as a result of Brian Logan winning "The Legitimate" AWA World Heavyweight Championship from the champion at that time, "The Living Legend" Larry Zbyszko. The promotions have come together in a cooperative unit to better promote each individual territory. In 2016, the AWA was revived for the same purpose. American Wrestling Affiliates does not, and never has claimed to be either Verne Gagne's AWA (now owned by WWE) or Dale R. Gagner's AWA (now Wrestling Superstars Live). Collectively, a new organization was founded. Our promotions plan to exchange talent. That will give a broader base of work to those individuals. It will also give the promotions the opportunity to develop their own talent on a national level. This will be accomplished by having our Recognized World Champions defending their championships in towns locally promoted by each territory.